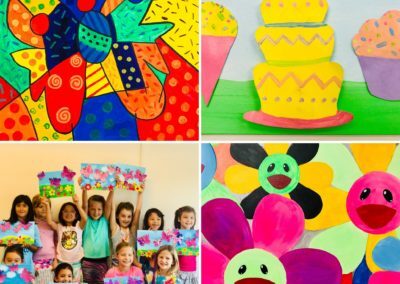 join us for classes, camps, open studio time & one-of-a kind parties! we are so happy to help you plan your celebration today! our new studio is the perfect place to host one-of-a- kind art parties for artists as young as 2 years to teens and adults! we look forward to working with you to plan two hours of creative fun for all of your guests. party hosts can choose from our collection of masterpieces inspired by artists from around the world for the art projects for their party. to be sure you are able to have your choice of your party date and time, we recommend that you reserve your party date and time at least three weeks in advance of your celebration. friday evening parties for teens to adults! friday evenings are a great time to host celebrations for teens to adults in our studio! you are welcome to bring snacks or dinner and beverages*, along with your friends to enjoy creative fun! parties can be scheduled for two-hour windows, between 6:00pm and 9:00pm, with a minimum of 8 participating artists, and a maximum of 40 participating artists. hosts can choose a project for you and your guests to paint from our extensive collection of masterpieces inspired by artists from around the world. each of your guests will take home their canvas painting, ready to display in their home! *hosts may provide alcohol at their event, however, all guests who would like to enjoy alcohol on our premises must sign a waiver. thank you for your understanding. saturday parties: artmix welcomes artists of all ages to celebrate their birthday or any special occasion, from 2 years to teens to adults. parties may be scheduled for a two hour window between 9:30am and 9:00pm, with a minimum of 8 participating artists, and a maximum of 40 participating artists. party hosts can choose a project for your guests to paint from our extensive collection of colorful masterpieces inspired by artists from around the world. each of your guests will take home their canvas painting, ready to display in their home! please call us to reserve your party date and time, 713.552.9028. our team will work with you to help you select one of our party packages and review our party fees. the party planning fee for your party will be collected at this time. we welcome and encourage hosts to visit our studio to meet our team and plan your party. at this time, you can choose your party projects from our collection of masterpieces inspired by themes and artists from around the world. if you are not able to visit our studio in advance, we are happy to email you pictures of party project samples for your consideration. hosts may come in 30 minutes prior to their event to set up food, beverages and decorations for the party. once all of your guests arrive, our team will welcome everyone into the studio and guide them, step-by-step through all of the art projects. we will reserve 20-30 minutes for you to serve for food, cake and refreshments. at the conclusion of your party, your guests will take their masterpieces, which will be mounted and ready to display in their home! 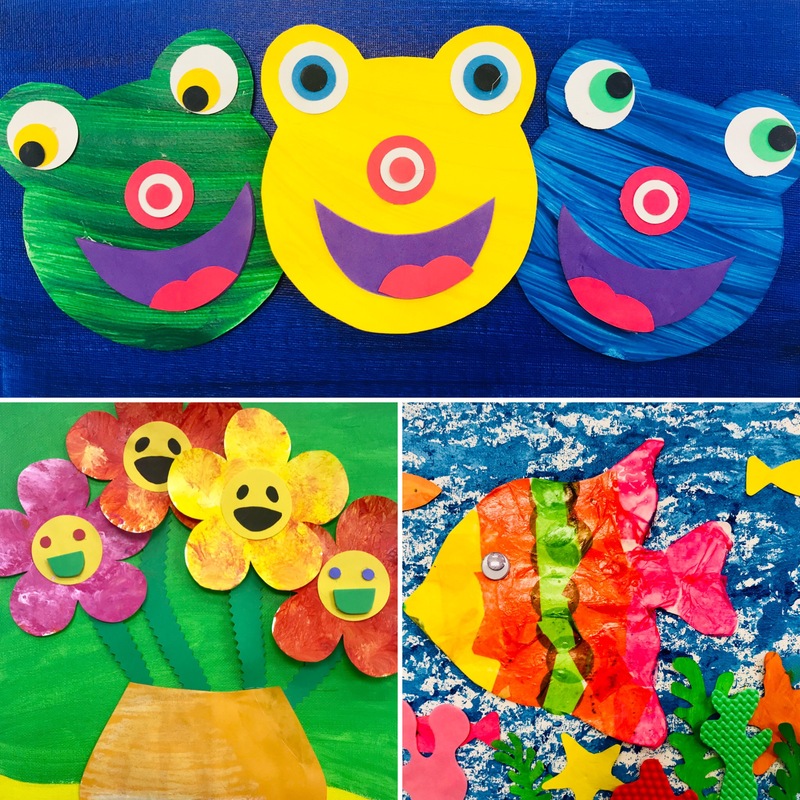 parties for toddlers – 3 years: artmix offers two different options for parties for our littlest artists. 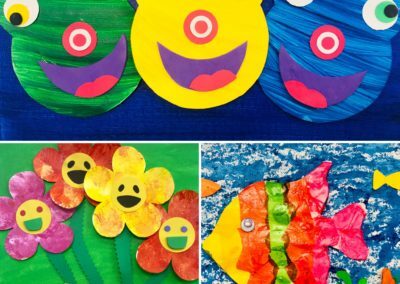 party hosts have the choice of having a “centers party” with three art centers, including painting and simple collage projects, or a canvas painting, based on a them. 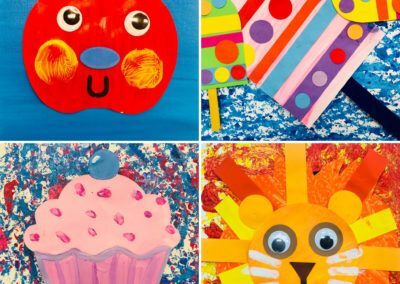 we welcome hosts to come into our studio to choose from our projects including: under the sea, sparkly butterflies, dinosaurs on the prowl, outer space and more! each party guest will take home all of their crafts and masterpieces to enjoy. 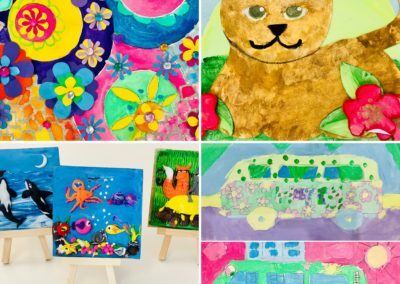 parties for artists ages 3 – 9: all of your guests will have a wonderful time painting a masterpiece on a canvas board that they will take home to enjoy! hosts are welcome to come into our studio to choose from our large collection of paintings inspired by artists from around the world, as well as other themes. hosts are welcome to bring food, cake and beverages for their guests. our team will set up tables for your food, beverages and a gift table. we will reserve time for hosts to serve for food, cake and refreshments. parties planned between 9:30am and 6:00pm: a $100.00 non-refundable party planning fee is required, plus $30.00 per participating artist. 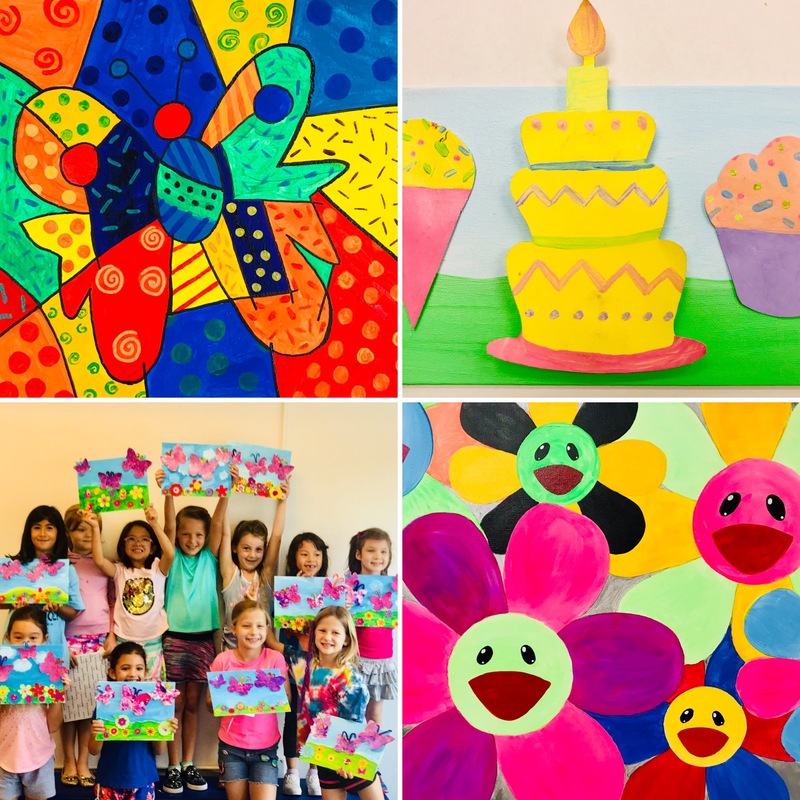 parties planned after 6:00pm, and on sundays: a $150.00 non-refundable private party planning fee in required, plus $30.00 per participating artist. 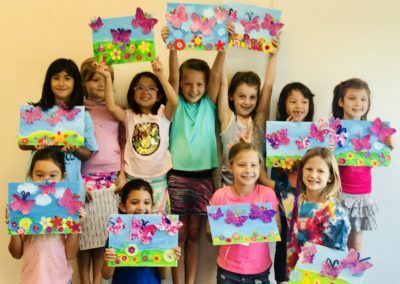 for parties with over 25 guests (including children and adults), artmix will provide additional staff to maintain our 8 students to 1 teacher ratio, and to ensure the very best service for your party. the cost is $50.00 per additional staff member for a 2-hour party, and $75.00 for a 3-hour party. there is a $75 fee for parties that go 15 minutes over the scheduled party end time. we are happy to design party projects including art inspired by movies, disney characters and more. a $50.00 project development fee is required in addition to our standard party prices. your guests will have a wonderful time painting a masterpiece on a canvas board that they will take home to enjoy! hosts to come into our studio to choose from our large collection of paintings inspired by artists from around the world, as well as other themes. our teachers will guide each guest through the process of making a unique masterpiece inspired by the party’s featured artist or theme. parties may be planned for two-hours, during our regular business hours, between 9:30am and 6:00pm on fridays and saturdays. a $100.00 non-refundable party planning fee is required, plus $35.00 per participating artist. parties planned after 6:00pm, and on sundays require a $150.00 non-refundable private party planning fee, plus $30.00 per participating artist. we are happy to design specialty party projects for a $50.00 project development fee in addition to our standard party prices. our paint & wine events are great fun for everyone who loves to paint, getting friends together for a fun day or night out, girls’ night out, fun couple time and more! artmix studio is the perfect place to bring friends and enjoy painting a masterpiece inspired by an artist from around the world. our teachers will guide everyone through the process of making a unique masterpiece to cherish! everyone is welcome to bring wine & snacks to enjoy while they paint. guests will make a masterpiece on a 12×12″ wrapped canvas, using a color-filled palette of acrylic paint. reserve your party date and time! day and evening time party options are available throughout the week, monday through sunday. please call to check availability, 713.552.9028, or email, contact@artmixlearning.com. fees: a $100.00 non-refundable party planning fee is required to reserve your party date and time. cost: $40.00 guest fee per artist for two-hour parties, and $50.00 guest fee per artist for three-hour parties. there is a $75.00 fee for parties that exceed 15 minutes past the set party time. parties on the go: artmix is happy to come to your home or party location to provide creative fun for all of your guests! we will provide the staff, set up and clean up, and teach all of the party projects. we are able to schedule on the go parties for two-hour windows on fridays and saturdays. party planning fee: a $150.00 non-refundable party planning fee is required to reserve your party date and time. 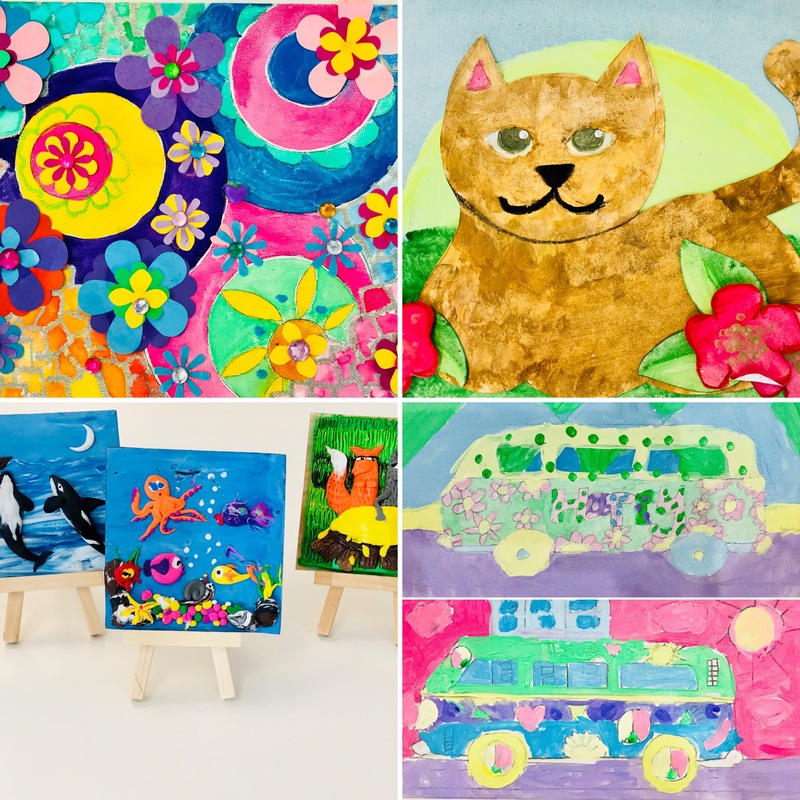 arts & crafts on the go: if you would like to add arts & crafts to your backyard party, party in the park, or slumber party, we can bring a fun collection of activities for your guests! hosts can choose from a collection of collage, painting, jewelry and slime making projects your guests are sure to enjoy! we ask that hosts provide the chairs and covered tables for their party. and we will provide the excellent teachers and all of the supplies. we are able to provide portable tables and chairs for an additional fee. guest fees: $200 for up to 20 guests and $300 for up to 30 guests, in addition to our party planning fee. custom craft parties: we are very happy to create a one-of-a kind crafts for your specific party theme! a $50.00 custom fee per craft applies, and $5.00 per craft for your on-the-go party. paint parties on the go: if you would like to fill your home with art, we can bring our palettes, brushes, easles, paint and crafts to you! 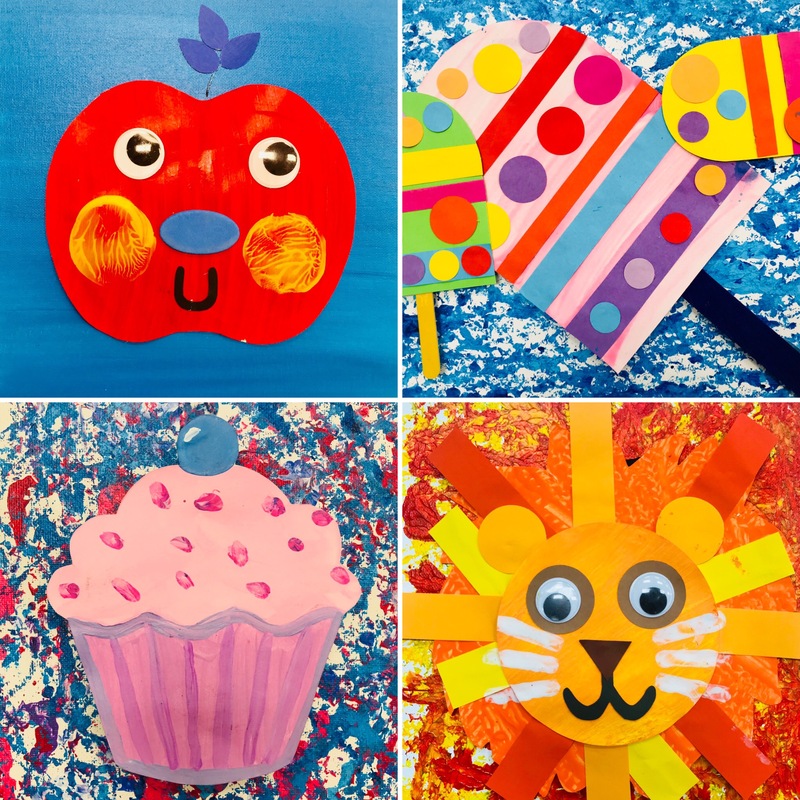 our teachers can set up an art party in your home or party location for all of your guests to enjoy creative fun! hosts can choose a party project for their guests from our collection of masterpieces inspired by artists from around the world. our teachers will lead everyone through the process, from the initial sketch to the final masterpiece. we ask that hosts provide chairs and covered tables for their party. we are able to provided portable tables and chairs for an additional fee. we will provide our excellent teachers and all of the supplies! guest fees: $35.00 per artist, plus the $150.00 party planning fee. artmix is happy to welcome your troop to our studio to earn your art badges! 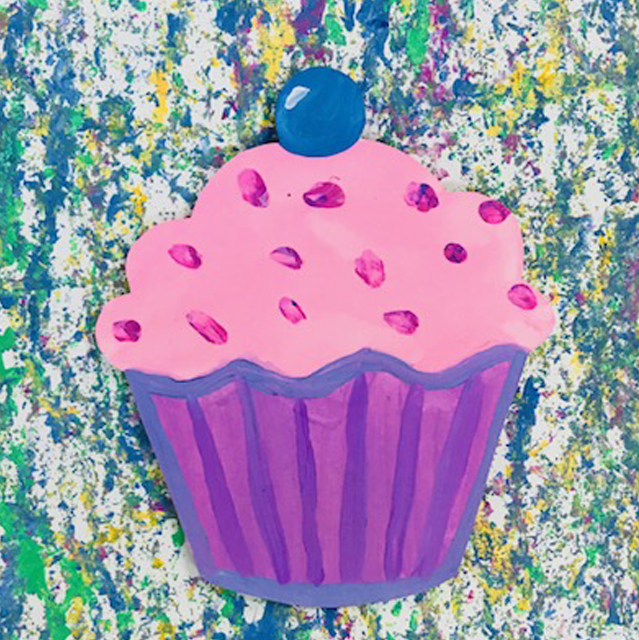 our team will organize a two-hour art party with your troop leader to plan a collection of up to 3 activities so that all of your troop members can meet the requirements to earn their badge! parties can be hosted in our studio, or ‘on-the go’ at another location. 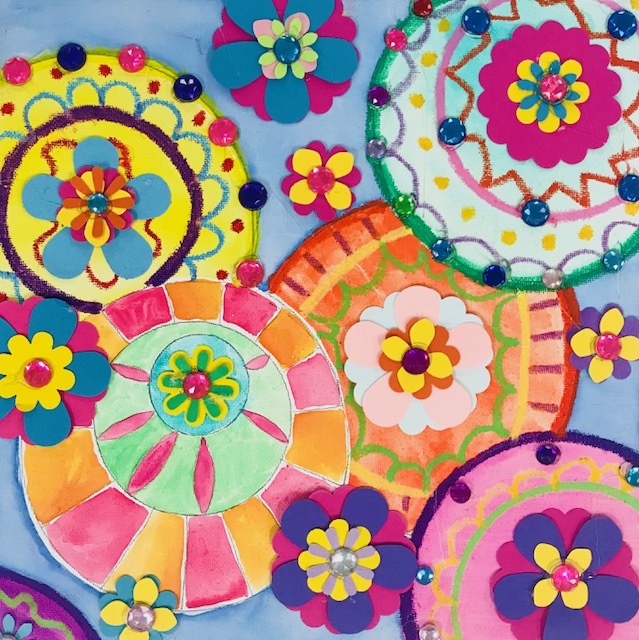 artmix is able to work with your troop to earn their badges in: drawing, mixed media projects, painting, collage, jewelry, and sculpture. party fees: a $100.00 non-refundable, party planning fee is required to reserve your party date and time, and goes towards the cost of your event, and $30.00 per artist guest fee. 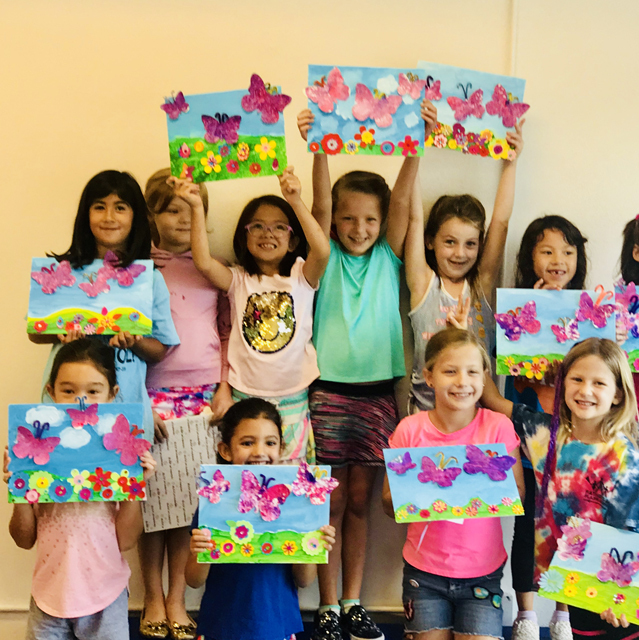 additional party fees: for parties with over 25 guests (including children and adults), artmix will provide additional staff to maintain our 8 students to 1 teacher ratio, and to ensure the very best service for your party. the cost is $50.00 per additional staff member for a 2-hour party, and $75.00 for a 3-hour party. there is a $75 fee for parties that go 15 minutes over the scheduled party end time. party fees policy: we will contact you within 5 days of the date of your party to finalize all of the details of your event. at this time, your account will be charged for the number of guests that you confirm with us. please note: we will not refund your account for guests that do attend your party, so please be sure to reach out to all of your guests in advance to confirm their attendance. if you have additional day of guests, we will charge your account at the conclusion of your event. cancellation policy: if you need to cancel your party, artmix will work with you to schedule your party for another date and time. if you are unable to reschedule your party, your guest fees may be used towards other artmix programs within 6 months of your original party date. 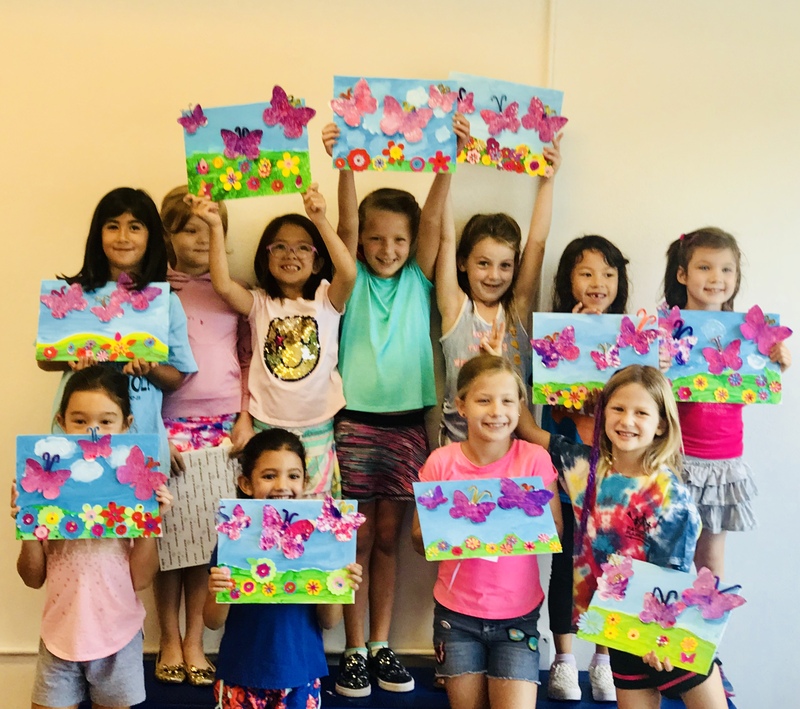 pop-in for party guests’ siblings: if your party guests bring their siblings along to artmix, they are welcome to enjoy creative time in our pop-in studios and then join your party for cake and celebration! either the party host or the child’s parents can cover the pop-in fee, $15.00 for children up to 3 years old, and $20.00 for children ages 3 and up. we look forward to helping you host a one-of-a kind celebration in our studio soon!